The founder of Shake Shack has a seriously inspiring perspective on food, Instagram, and the smartest way to deal with your critics. 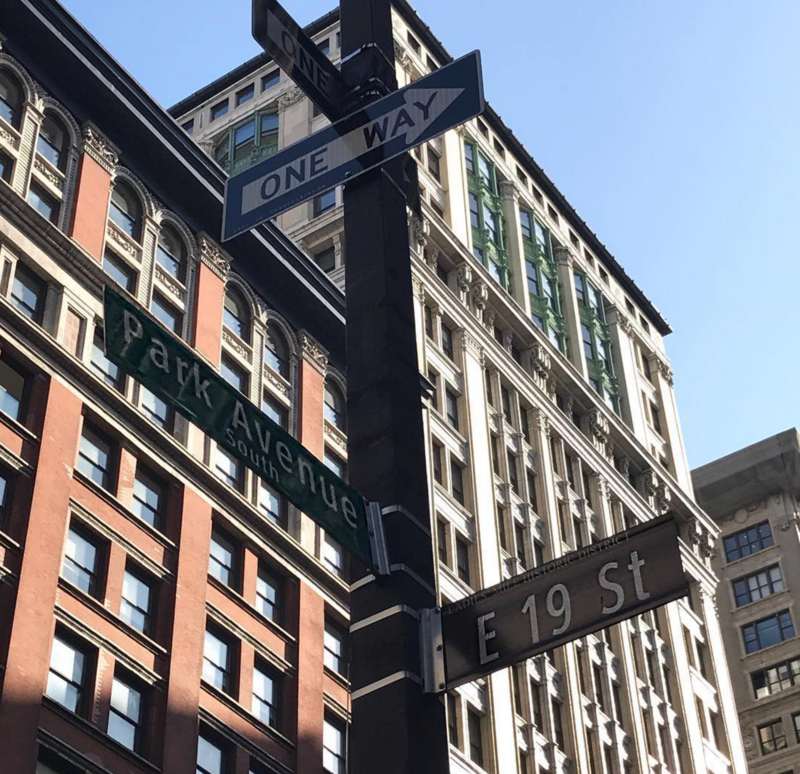 Later this fall, Danny Meyer is reopening his famed Union Square Cafe, just a block away from BuzzFeed's New York office. So, we invited him over for coffee. Because isn't that what neighbors do? Meyer is the CEO of Union Square Hospitality Group and the founder of Shake Shack, and his book, Setting The Table, is pretty much The Official Guide to modern hospitality. He came to BuzzFeed's New York office last week as part of the ongoing Breakfast at BuzzFeed speaker series. We made coffee, he brought breakfast. From Daily Provisions, the coffee shop and bakery that'll open right next to Union Square Cafe. 1. He thinks that our ever-growing obsession with food has really raised the stakes for restaurants. It used to be that people went to restaurants for birthdays or special occasions, Meyer says, "Today, it’s amazing, you want good food everywhere you go. You don’t just want good food in a restaurant that starts with 'le' or 'la' and you don’t have to have a white tablecloth. You don’t even have to sit at a table. You’re willing to wait in line for it." The demand for good food, "in terms of where it was grown or raised or how it was cooked," has skyrocketed, and he wants to satisfy that. "The role that a restaurant plays in its community has been propelled to a much, much, more important standing," he says, because food itself is that much more important to so many people. 2. He knows that you're Instagramming everything, and he's cool with it. "I think the biggest change that the tech community has brought is that it has enlarged every table," Meyer says. A table for two "becomes a table for two, times how many people follow you on your social networks. Instead of the old days where you might run into somebody at a party on the weekend and tell them where you had eaten two weeks ago, you’re now telling everyone you know (and everyone they know) where you’re eating, what it looks like, what it tasted like. You want to share your party with everyone." Because, all that social media stuff you're posting? Free marketing. When Meyer opened Marta, he was constantly annoyed that the water glasses were leaving huge pools of condensation on the wood tables. So, he put brown paper placemats down to solve the problem. They looked a little sparse, so the team stamped the corners with a big, red "MARTA" insignia. Soon, everybody was posting photos of the pizza (as one does), and having that "MARTA" stamp in the corner of your photo became kind of a ~thing~. Basically, A Star Was Born. 3. He looks at tech as a means to increase "touch." "I think the people who are using tech most effectively are the people who understand that the word tech is not that far removed, just by a couple vowels, from the word touch," Meyer says. A little cheesy? Sure. But, hear him out: "The most effective way to use high tech is to increase high touch; to realize that human beings are never going to stop needing hugs — they’re craving hugs." 4. Really, he just wants to be able to "give as many hugs as possible." He was an early investor in OpenTable, and sat on the company's board until 2015, because he saw it as a way to make the restaurant experience more customized and personal. For guests, OpenTable is a convenient way to make reservations. For restaurants, it's a database of valuable information on every guest: how often they visit the restaurant, which other restaurants they frequent, what they tend to order, etc. Meyer sees all of this information as a way "to increase our ability to give hugs in the restaurant, by knowing more about our guests." 5. He's thinks having his staff wear Apple Watches will make service even better. When Union Square Cafe reopens, every floor manager and sommelier will have one on their wrist. According to Eater, they'll use the reservation and hospitality app Resy to communicate with each other instantly, from anywhere in the restaurant. So, if a reservation calls to say they're running 15 minutes late, the server who might be subtly trying to hurry a lingering group out of their table will quickly be told that there's actually no rush. Also, checked coats will be brought to a table along with the check, eliminating the nuisance of "having to buy your own coat back." 6. He uses feedback to get better, but he doesn't let feedback shape what he's doing. The key to dealing with constant, endless feedback on the internet (Yelp), Meyer says, is to establish a strong point of view and a specific set of goals for yourself, then filter accordingly. He pays attention to what people are saying, online and elsewhere. But, he says, it's important to use criticism to get better at what you're doing, without bending so much that what you're doing becomes something different. 7. Actually, he thinks the "democratization of food" makes experts even more revered and important. Do things like Yelp, amateur blogs, and social media take away from the importance of the ~official~ reviews, like those from New York magazine or the New York Times? No. Actually, Meyer thinks that the official restaurant reviews are more important than ever. Critics pay attention to what people are saying about a restaurant, but ultimately they are the authority, the Final Say. He says he's noticed that after a big review of a restaurant comes out, the social media stuff tends to die down a little, or fall in line with whatever the critic has "decided." 8. And also, that places like Shake Shack only exist because of high-end, fine dining restaurants. Shake Shack was famously born as a hot dog cart out of the kitchen of Eleven Madison Park, a Michelin-starred fine dining restaurant that Meyer owned at the time. Now, Shake Shack is its own publicly-held corporation and stands completely alone. The success of fast-casual (or, "fine-casual," as he calls them) restaurants and chains might seem like bad news for fine dining, but Meyer thinks otherwise. In his opinion, the demand for places like Shake Shack comes from the growing number of people who want and care about high-quality food. The people who stand in line for Shake Shack, he says, want great food, even when they don't want the great service and the great dining room to go with it. It's fine dining trickling down into fast food, not fast food pushing out fine dining. 9. He wants to run restaurants that serve and cater to the neighborhood, not the whole world. Shake Shack aside, Meyer is in the business of running classic neighborhood restaurants. (Though actually, Meyer wants to make that experience much more personalized, too: "Wouldn't it be great if, when you walked into your local Shake Shack, the staff would recognize you and say, 'Hi! Welcome back!'") There are constantly new, trendy restaurants, there is always the latest viral food sensation, but the only way to stay busy after the initial buzz dies down is to be a place that serves truly good food, where people feel comfortable and taken care of. He thinks that, for every 10 restaurants a person visits, four of them will be something cool and new (something that'll make for an impressive Instagram, you know?). The other six times out of 10, a person's going to choose somewhere easy and probably nearby; somewhere good, that they already know and like. Meyer's restaurants are all intended to be the latter. 10. Which is why the new Union Square Cafe will be so close to its original location. Because it is a ~neighborhood restaurant~. Union Square Cafe, Meyer's first restaurant, opened in 1985, just west of the park on 16th Street. Back then, "this neighborhood was the men’s garment district, it was not Silicon Alley — you know, with tech companies like BuzzFeed," Meyer says. The restaurant closed in December 2015, because literally no one is immune to the relentless monster that is New York real estate. (Or to the growing need for office space to house "tech companies like BuzzFeed." ¯\_(ツ)_/¯ ) Meyer says he got offers from real estate developers to reopen the restaurant in various locations all over the world (!!! ), but that he wanted to stay local because a big part of what shapes Union Square Cafe is, well...Union Square. 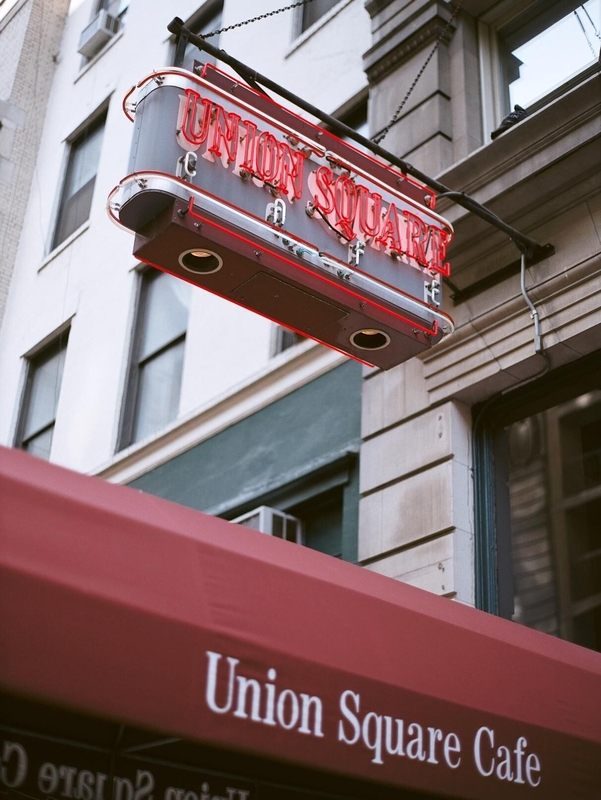 The new Union Square Cafe will open later this fall on 235 Park Avenue South at 19th Street . 11. And, because he pretty much summed himself up in a sentence when he said, "My favorite restaurant is the one that loves me the most." It's a quote that Meyer attributes to the late, great food writer, James Beard, but one that he lives by. It's really lovely — and heartening, and grounding, and eye-opening AF — to think that a restaurant (or anything, really) can be most successful by understanding exactly who its audience is, and focusing on making that audience happy. Maybe you think that isn't the case, but it sure seems to be working for him.